The discussion was not about whether Jesus was the Son of God, but whether he was equal with the Father or a lesser divine being. The Emperor Constantine had absolutely nothing to do with fixing the canon of Scripture. The canon was pretty well agreed in the Third Century. The Gospels and Epistles we have today were recognized as authentic by those who knew the authors to be eyewitnesses and trustworthy. No Council of the Church gave the New Testament documents the status of Scripture. On the contrary, the Scriptures gave the Church its status as the Body of Christ. The New Testament documents were in wide circulation during the 1st and 2nd Century and diligently copied and copiously quoted by the Early Church Fathers. If Muslims have been taught that the Bible is unreliable, and if millions of skeptics have read Dan Brown’s books or watched the Da Vinci film, the chances are you know some of them. So how can we know if the New Testament is reliable? How can we be sure that in the gospels we encounter the historical Jesus? How can we Test the Reliability of the New Testament? The only way that you can test the reliability of the New Testament is to apply the same kind of test that you would to any other document, that is, to consider the evidence objectively and impartially. Then our critics cannot accuse us of bias. Our legal system uses this approach in order to establish a verdict based on reasonable evidence. There are essentially three tests which are applied to in historiography and literary criticism, the bibliographic test, the internal test and the external test. The internal test asks questions such as who wrote it? How soon after the actual events happened was the document written? Were they eyewitnesses? How reliable were the authors? Are there inconsistencies between their testimonies or do they corroborate one another? The bibliographic test asks how many copies were made and survive? What is the time-span between the original and the earliest copy we have? How many variations or differences are there between the manuscripts? The external test asks whether sources outside the New Testament confirm or contest the eyewitnesses or the manuscript evidence. This is where archaeology plays a role. Lets apply these three tests. The Internal Test: How Credible are the Writers? This is how Luke begins his account of the life of Jesus Christ. Luke wanted to investigate the claims of Jesus Christ. He relied on eye witness accounts and synthesised them in an orderly way. Luke is respected for his meticulous historical accuracy. The disciples were eye witnesses. The Apostle John wrote the following in his First Epistle. John was an eyewitness to the life, death and resurrection of Jesus. What he saw, he, like his colleagues, recorded accurately for us to read today in his gospel account. Peter goes on to warn that false teachers will arise who will try and exploit Christians for material gain with “fabricated stories” (2 Peter 2:3). The disciples were reliable eyewitnesses. Their lives were open to examination. Appealing to the knowledge of your critics to corroborate your claims is a powerful testimony. Indeed his second letter to Timothy Paul warned that persecution was inevitable for speaking the truth about Jesus. The Apostles wrote and testified to what they had seen and heard in Jesus within an increasingly hostile environment. Their writings and teachings were openly challenged. They were eyewitnesses, reliable witnesses, cross examined witnesses. There is no greater test of credibility than witnesses who refused to deny they had seen the Lord Jesus in bodily form risen from the dead and were willing to die for it. 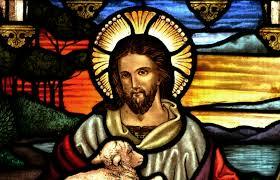 The internal test confirms that the writers of the New Testament were reliable eyewitnesses to the historical Jesus. Lets consider the Bibliographic Test. The Bibliographic Test: How Reliable are the Texts? When it comes to dating the New Testament books, there are differences between conservative and liberal scholars but only in terms of decades, not centuries. For example, the conservative dating for the Gospel of Mark is between A.D. 50-60, with more liberal scholars placing it around A.D. 70. This is remarkable, when you consider that Jesus died somewhere around the year A.D. 30; these are authentic eyewitness accounts. Generally speaking, Paul’s letters were written between A.D. 50-66, the gospels between A.D. 50-70. The earliest extant manuscript is a fragment of John’s gospel (The John Ryland’s papyri is dated 120 AD). Since the book was probably composed in Turkey when John was in exile on Patmos and this fragment was found in Egypt, some circulation time is demanded, surely placing composition of John well within the first century. The Epistles of Paul invariably conclude with a list of individuals known to the recipients, some of whom were companions of Paul, were his messengers In his First Epistle to the Corinthians Paul lists those who witnessed the resurrection, many of whom were still alive. Paul ends Colossians with the instruction that they share his correspondence with the church in Laodicea. There is therefore every reason to believe that his letters were copied and widely disseminated by those who knew him personally. In the Peter’s second letter he refers to the writings of Paul as scripture. When dating the New Testament, the watershed is 70AD. Jerusalem had been occupied by Jewish zealots since 66 AD. The siege ended in 70AD when Titus, who eventually became Emperor, plundered the city, demolished the Temple and enslaved the surviving Jewish remnant. The destruction of Jerusalem was truly apocalyptic in proportions. Matthew records a conversation between Jesus and the disciples who are impressed by the fine buildings when they arrived in Jerusalem for the Passover. “Do you see all these things?” he asked. “Truly I tell you, not one stone here will be left on another; everyone will be thrown down.” (Matthew 24:2). Had the Temple been destroyed, the author would not have referred to the Temple sacrifices in the present tense but would surely have referred to the end of sacrifices as vindication of the finished work of Christ on the cross. How Early are the Extent Manuscripts? To decide the reliability of the manuscripts we have to consider two factors: First, the number of manuscripts that have survived today; and second, the time period between the original document and the earliest manuscripts we have. The more manuscripts we have and the closer they are to the originals, the more we are able to determine where copyist errors happened and which copies reflect the original. In a comparative study, for example, the book Natural History, written by Pliny Secundus, is known because of seven manuscripts. The earliest copy was written 750 years after the original text. The most frequently copied work after the New Testament from ancient history is the Iliad written by Homer. There are 643 copies in existence. The earliest copy was written 400 years after the original. By comparison, there are well over 25,000 extant manuscripts of portions of the New Testament. In addition, a fragment of the New Testament (NT) has been dated to within 50 years of the original, whole books to within 100 years, and the whole NT to within 225-250 years. Having shown that the New Testament writers pass the first two tests for reliability, the internal test and the bibliographic test, lets consider the external evidence. What contribution does archaeology make to our understanding of the historical Jesus? “All four Gospels give details of the crucifixion of Christ. Their accurate portrayal of this Roman practice has been confirmed by archaeology. In 1968, a gravesite in the city of Jerusalem was uncovered containing thirty-five bodies. Each of the men had died a brutal death which historians believe was the result of their involvement in the Jewish revolt against Rome in 70 A.D. The inscription identified one individual as Yohan Ben Ha’galgol. Studies of the bones performed by osteologists and doctors from the Hadassah Medical School determined the man was twenty-eight years old, stood five feet six inches, and had some slight facial defects due to a cleft right palate. What intrigued archaeologists were the evidences that this man had been crucified in a manner resembling the crucifixion of Christ. A seven-inch nail had been driven through both feet, which were turned outward so the nail could be hammered inside the Achilles tendon. Archaeologists also discovered that nails had been driven through his lower forearms. A victim of a crucifixion would have to raise and lower his body in order to breathe. To do this, he needed to push up on his pierced feet and pull up with his arms… John records that in order to expedite the death of a prisoner, executioners broke the legs of the victim so that he could not lift himself up by pushing with his feet (19:31-33). Yohan’s legs were found crushed by a blow, breaking them below the knee. The Dead Sea Scrolls tell that both Jews and Romans abhorred crucifixion due to its cruelty and humiliation. The scrolls also state it was a punishment reserved for slaves and any who challenged the ruling powers of Rome. This explains why Pilate chose crucifixion as the penalty for Jesus. So, if the evidence for the reliability of the New Testament is so strong, why the popularity of books like the Da Vinci Code? Why do Muslim scholars continue to perpetuate the belief that the New Testament has been corrupted? Why is the Reliability of the New Testament Documents still Questioned? The scriptures themselves insist the main reason people dismiss the Bible is because of its moral and ethical demands. The Apostle Paul specifically warned Timothy this would happen. But simply dismissing the Bible as unreliable does not change its message or teaching. Two thousand years later, the number who testify to the same living encounter with the risen Lord Jesus, continues to grow. If you are in any doubt as to your eternal destiny, then engage with the truth of Jesus. For He invites us to undertake an experiential test to determine the authenticity of his teaching. “If anyone chooses to do God’s will, he will find out whether my teaching comes from God or whether I speak on my own… If you hold to my teaching, you are really my disciples. Then you will know the truth, and the truth will set you free.” (John 7:17; 8:31-32). As Paul Williams concludes: “In other words, if you want to know – subjectively, in your own experience – that the Bible really is God’s word, you can. Because when you put its teaching into practice, the miraculous results in your life are such that you will know the words could only come from God. Lets pray. F.F. Bruce: The New Testament Documents: Are they Reliable?